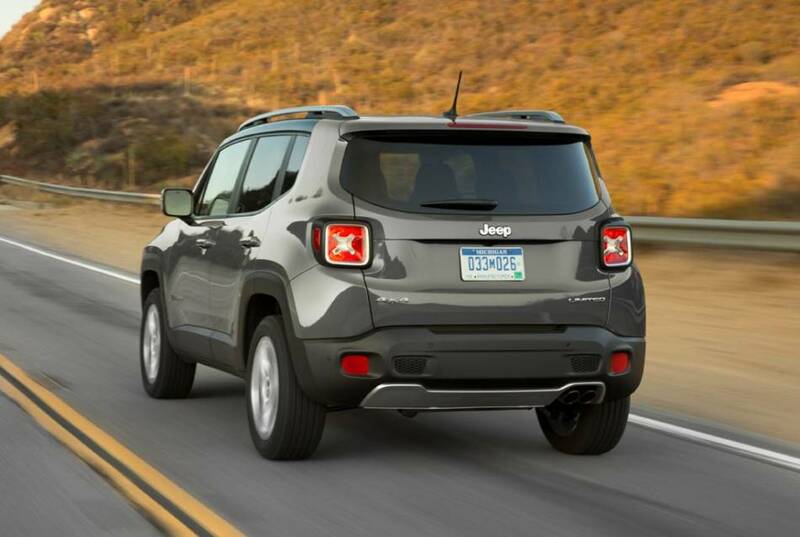 Overview: The Jeep Renegade is the most-compact Jeep wagon since the original 1941 Willys. 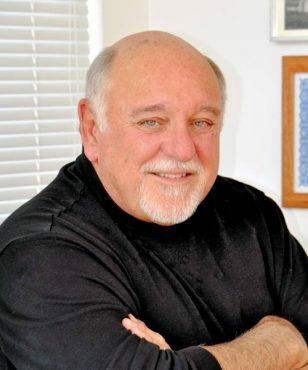 It was also chosen by 25 regional automotive journalists as the winner of the Northwest Automotive Press Association’s nationally recognized off-road competition, Mudfest — a choice we somewhat disagreed with. Two powerplants are offered: A turbocharged 1.4-liter, 160-horse four-banger married to a 6-speed manual is standard. Powering our test vehicle was the 2.4-liter four-cylinder coupled to a 9-speed automatic that delivers 180 horses and 175 pound-feet of torque. Front-wheel drive is standard. All-wheel drive is available with either engine. For serious off-roading, the Trailhawk model is the way to go. Walkaround: Vacillating between cute and rugged-looking, the Renegade is tall, slab-sided and unmistakably a Jeep, with oversized styling cues accenting its heritage. Adjoining Jeep’s signature seven-bar grille are large, round headlights — even though headlights today are generally smaller LEDs. Trapezoidal, rubber-covered wheel arches suggest strength, with taillights showcasing X shapes reminiscent of WWII-era Jeeps with gas cans strapped to the back. While upright and square in profile, it looks more like a real Jeep than the larger Cherokee. However, underneath, it’s an Italian-made hatchback, sharing its platform with the Fiat 500X. Interior: The front seats are comfortable and well-bolstered. 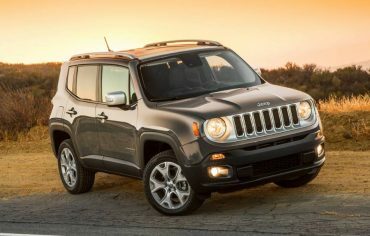 The Renegade is wider than most small SUVs, so it’s roomier, with lots of headroom front and rear. Rear visibility is hampered by thick roof pillars. Instrumentation is slightly oversized, boasting large ventilation knobs easy to interpret at a glance. The console offers abundant storage space, and contact surfaces are soft-touch, while other surfaces are hard plastic. Behind the Wheel: The Renegade isn’t as capable off-road as the Wrangler, but is impressive over rough terrain. It has no trouble up or down steep inclines on dirt and gravel, or through mud and water, and can work through boulders almost as large as its wheels. Standard Renegade 4x2s have 6.7 inches of ground clearance while 4×4 models offer 7.9 inches, with the Trailhawk at 8.7. Electric power steering provides modest feedback but holds the road comfortably, handling winding two-lanes better than expected. Because of its diminutive size, it’s easy to park and maneuver in tight quarters like crowded parking lots and primitive trails. Whines: Neither engine delivers notable acceleration. Fuel economy is average for the class and the ride is often somewhat rough. Bottom Line: While based on the Fiat 500X, as the entry-level Jeep, the Renegade is both capable and reasonably refined, creating a value for the price.